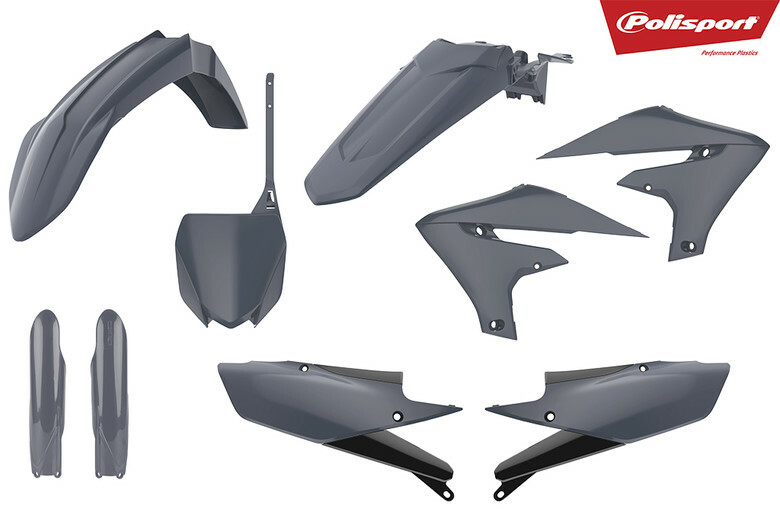 For KTM, Honda, and Yamaha, Polisport has full MX Kits in a gloss slate grey that is different than all colors out there. Vital MX: Call it what you want; slate, charcoal, stone… or Nardo (?). 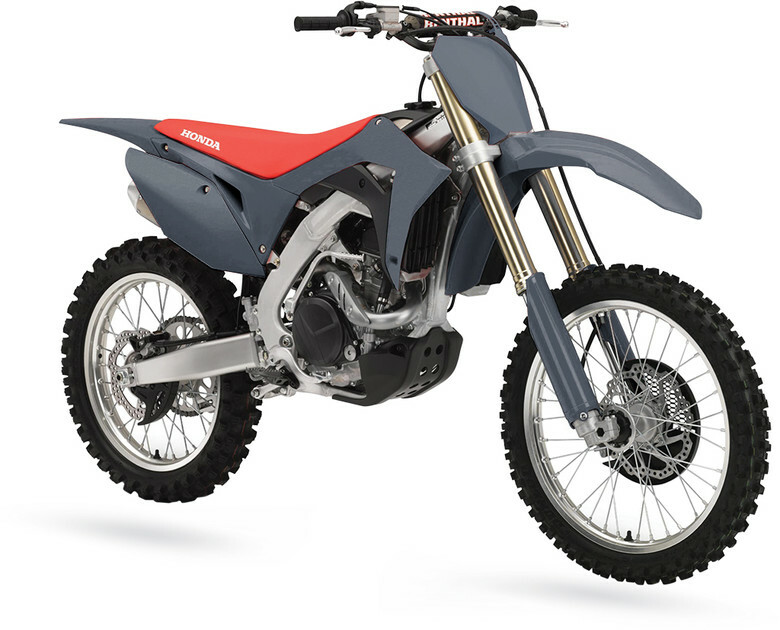 We’ve seen this non-metallic grey color pop up all over the motocross world. Now, with this kit, your whole bike can be greyed-out. 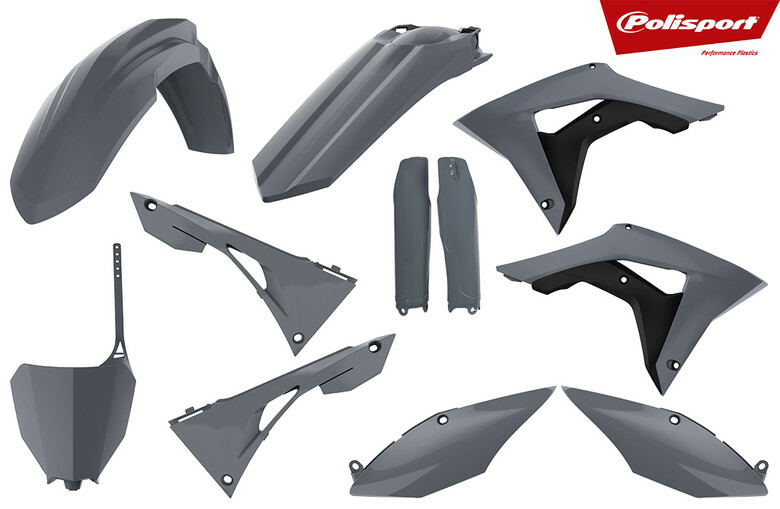 Polisport releases the CRF250R/450R MX Kit in the new special color - Nardo Grey. The Nardo Grey kits will also include the fork protections. With this new color in Polisport’s Special Colors line, riders will be able to make their bike shine and customize their graphics to stand out from the crowd. Polisport releases a new special and exclusive color - Nardo Grey. With this new color in Polisport’s Special Colors line, riders will be able to make their bike shine and customize their graphics to stand out from the crowd. Polisport releases new special and exclusive colors for the KTM SX/SX-F/XC/XC-F 2019 models. Now, the MX Kit for these models is available in Clear, Flo Yellow, Flo Orange, and Nardo-Grey. All replica parts are available separately*. With these colors in Polisport’s Special Colors line, riders will be able to make their bike shine and customize their graphics to stand out from the crowd. I guess it was only a matter of time. Nardo Grey is the current raging color in the European Sports Car world. I think it would look better on the bikes with NO other color. 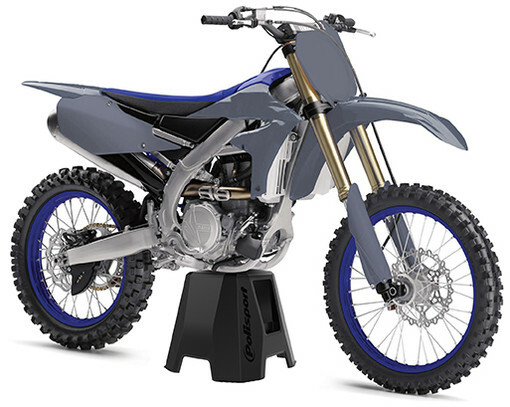 Maybe just the blue rims on the YZ. Was this designed by the same team that came up with the Pontiac Aztec ? Or Fiat Multipla ? Or did they use Braille paper in the design studio? Win Vital MX's 2017 Husqvarna TC 300 Dream Bike!